You guys are such a popular breed in the Hollywood World! How cool is that? Sorry but ya'll is way more famous then those doggies or peeps...and way cuter too! Dat Sharkey kinda freaks me out a little. And you're cuter than all of them!! They may have famous people but, you guys are much cuter! And you two have a blog, I bet they can't say that. So very cute! I never realized how popular you guys are with celebrities. Just amazing... I thought I saw your pictures in a fashion magazine the other day. Guess I was right! 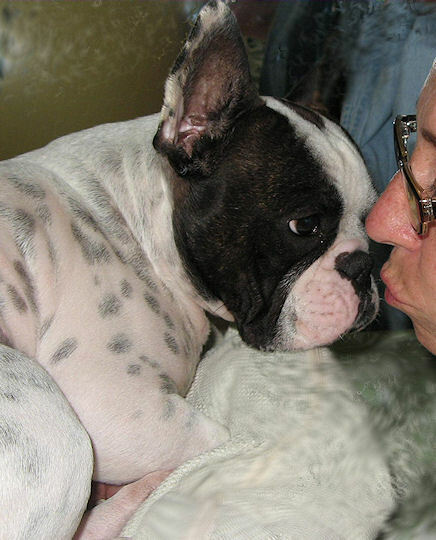 Those celebrities have something in common with your mom, too - they have good taste in doggies. WOW you two are part of the celebrity crew!Although I must say, I've heard of Benny and Lily but never of any of those other frenchies!! Awwwwwwwwwwwwwwwwww - what else can we say? You two would show those stars up any day. Aww Paris Hilton has a puggy that we are totally jealous of. Just cuz he gets to wear gucci! No fair! hehe you all are such divas! YOU TWO are celebrities and the cutest of all!! You two are way cuter, tho. pee s -- the booker man would NEVARRR EVARRR give out the homeworks. bleh! I don't think you're just like them. I think you're cuter, and probably a lot nicer, too! You two are the absolute cutest. I bet those other doggies don't have their own blog, either. Very good company you two are in! I bet none of those dogs have their very own blog! awwwwww YOUR parents are the biggest STARS of all! You are certainly in very good, and famous, company! You two are in good company! But do any of those dogs have an important Blogville cabinet position like you do? They wish!! I had no idea that you two were such celebrities! I actually think that you're way better (and much cuter) than any of those dogs in the photos! OMD, I cannot believe that your mom was voluntarily sprayed with pepper spray. I'm still coughing up a storm in my house! Your mom must be the toughest lady ever. The favorites of the stars... but the last two are the best of the best! 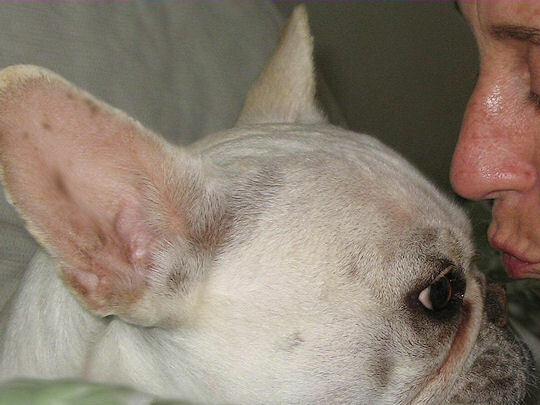 Um, Leo has a French Bulldog? Ok, that makes him even more irresistible than I thought possible. You two are the coolest! We love you guys BEST! Naaah, you guys are even more special! You two are the CUTEST!!!!! and can any of those "celebridogs" write a blog? Ha. I think not! I bet none of them has an awesome blog like yours though! I agree with Kristen G. - your bloggie makes you the best! Nah, not just like them. Much cuter!